2011 - Armas S. Blue (Sovereign Silk SI 107). 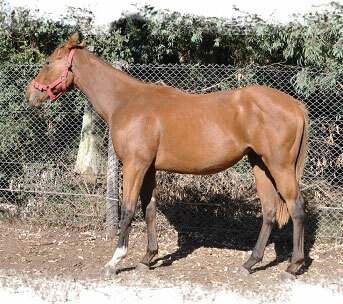 4to en la Final Polla Tres Haras Chos Malal '13. 2012 - Armas Azuleja (Sovereign Silk SI 107). Ganadora en Neuquén. 2012 - Armas Laika (Sovereign Silk SI 107). 2013 - Armas Gustosa (Sovereign Silk SI 107). 2014 - Armas Azulina (Sovereign Silk SI 107). 2015 - Armas Dolar Blue (SM Yankee Project).